In keeping with the theme of Vivien Leigh and Laurence Olivier location scouting, I’m excited to share this guest post with you. 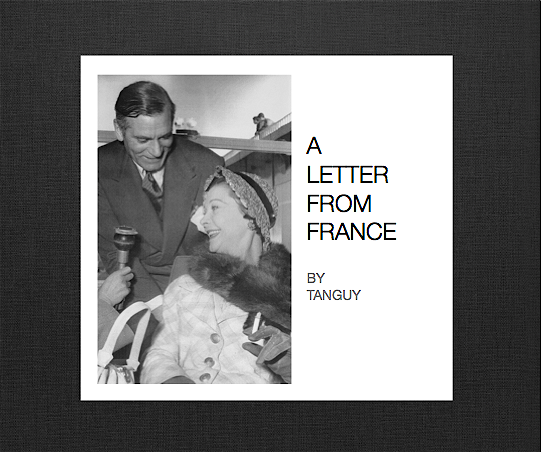 Tanguy is a Vivien and Larry fan from France, and he has researched and written a fascinating history of the Oliviers’ adventures in his home country. Vivien Leigh fans most likely know Tanguy from his amazing youtube video tributes, which I highly recommend watching for rare footage and photos. Thanks, Tanguy! Now, who wants to take a field trip to Paris? The Hôtel de France Choiseul is a four floor building located in rue Saint Honoré. The very simple and nearly common facades don’t compete with the high elegance of the Lutecia, or Georges V, both of the same period. The main entrance is discreetly set between beautiful luxury boutiques. And you could pass in front of the carved dark brown door without paying attention or getting the slightest hint of its past popularity with a prestigious and international clientele. President and Mrs Franklin Delano Roosevelt honeymooned there. People still leave nostalgic posts on the Hôtel’s website, remembering the warm atmosphere and the beautiful bedrooms with little flowery Victorian wallpaper overlooking Paris rooftops, with a curious mention of a domestic turtle which roamed around the interior garden room and ate lettuce. The register doesn’t mention if the turtle was already there when Vivien Leigh and Laurence Olivier visited for the first time. Neither did anyone talk about the haughty and snobbish staff which drives a regular customer to prepare her best “I’m snottier than you” attitude just to fit in every time she stays there. But Denise Tual, a very famous literary figure on the Parisian scene, remembers being slightly shocked when hearing first from Alexander Korda that Vivien and Larry had settled there for their first post war trip to the capital of France. Petite, elegant, witty, Denise Tual was well used to eccentrics. 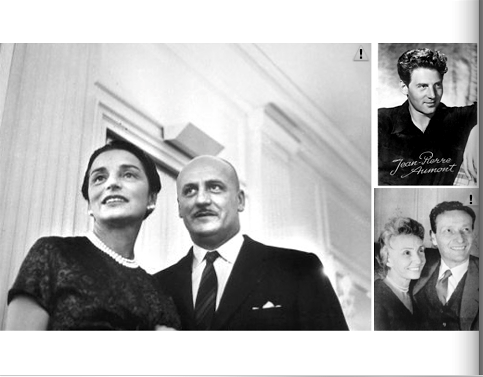 She was married to the producer Roland Tual, former member of the Parisian surrealistic scene. The couple owned a little country house at Orsay, where they entertained a joyous group on Sundays. Christian Dior, the new fashion talent, the designer Christian Berard, Marcel Achard, and Jacques Henri Lartigues were regular guests. During the week she worked at Synops, a little agency created in 1936 and situated at 25, rue d’Astorg. There she tried to adapt novels published by the NRFfor the screen. She also worked as an independent agent. Violette Leduc, briefly working as a secretary, remembers Jean Gabin, Simone Signoret, Jacques Prévert or Maurice Sachs visiting her office. Thus, Alexander Korda’s call one morning did not come totally out of the blue. Before establishing his own studio in England, London Films, the Hungarian had worked for Paramount’s French Division in Paris. In 1931 he had been able to direct “Marius”, based on the work of the author Marcel Pagnol, with the legendary Raimu and Pierre Fresnay, which became a major hit. 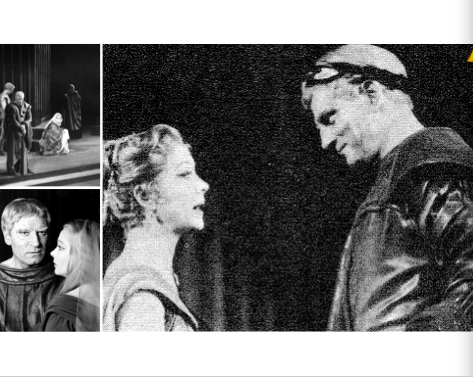 The Oliviers’ love story with France had started a long, long time ago. Well, as far as 1520, as far as Laurence Olivier was concerned. The Olivier family descended from a Huguenot branch, settled in Nay, who fled away to England in order to avoid Catholic persecutions. Today, Nay is just a little, ordinary provincial town, built around its church, with simple and empty streets. On the way to Lourdes, one can sit at the Café de la Place in front of the deserted Monument aux Morts, where no Olivier is mentioned. The official website of Nay no longer refers to the Olivier heritage. Although, in 2008, a street “Sir Laurence Olivier”, was inaugurated. And one is left to wonder about the visit Larry paid to his family’s cradle in July 1938. He stopped there with Vivien when coming back from vacation in the south of France. Although he is heard speaking French in Henry V, and some journalist credits his efforts in practising on Vivien’s insistence, not much is said about him mastering his ancestors’ language. His radio recording of Balzac’s “La Grande Bretèche”, gives but a hint, however charming. Vivien’s fluency has been asserted by many, and can be listened to in several of her movies. All throughout her childhood, France had been the destination of occasional trips, mainly to the Riviera. In 1923, aged 10, she visited Nice, Cannes and Monte Carlo. Three years later, she spent Easter holidays in the south of France and Paris with both her father and mother, and a special gallant fellow called Tommy. In 1929, after the Wall Street crash threatened the Hartley’s financial state, Vivien’s father settled for a long period in Biarritz. What was once a little whale fishing village had turned, through the centuries, into one of the most fashionable resorts in France. The Empress Eugenie, wife of Napoleon III, had been a regular visitor. Today, Biarritz still keeps this “air de grandeur”, with the monumental palaces fronting the ocean. But curiously enough, it has become one of the world best surf spots, due to the stay in 1957 of Vivien’s friends Peter Viertel and Deborah Kerr. Filming “The Sun also Rises” in the area, Peter Viertel was spotted on the beaches with a surf board, an occupation that was soon to acquire great popularity among the locals. Biarritz was then, for a while, the Hartley’s family address. Gertrude Hartley started her beauty product business there, and the profits were later to provide the family with enough money to pay for Vivien’s expensive tuition at RADA. And so, when she did not visit her family in Biarritz, young Vivien continued to explore. Marseille, Dinard for a whole summer course. In September 1929, she spent a whole term at the Villa Sainte Monique in Auteuil. The owner of the place, a Mademoiselle Manilève, taught French and literature to young students of wealthy families. It seems that one of the great attractions of the place was the possibility to get taught by some special coaches from the Comédie Française. 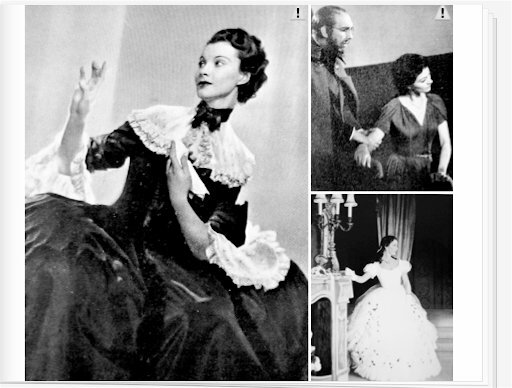 Vivien remembered a certain Mademoiselle Antoine promising her a brilliant future in theatre if she worked hard at her art. On Sundays, special parties were organised at Auteuil. Old gentlemen had the delight to be invited to see the young girls performances. Dancing, playing bridge, smoking, and drinking were encouraged. And two or three times a year, the English girls of the house had to produce themselves in front of the audience to practice their French. After the stern discipline of the English convent, this French and libertine atmosphere may have opened new perspectives to the young woman who certainly tested her charms on the male population there; a lesson, she never forgot. When Denise Tual came to call at the Hôtel France Choiseul, she was very surprised to hear from the receptionist that the Oliviers were already out. Used to the late hours of the theatre, Mrs Tual insisted on calling on an interior line. After a little while, a blank voice answered the call. She was to get up to the Oliviers’ room as silently as possible. Larry had been ill all night and he had at last fallen asleep. Had she in mind Henry V, Hamlet, or Heathcliff, Denise Tual would have been terribly disappointed by her first look at the great romantic actor lying in bed, sweating and suffering. He was a perfect contrast to the glorious figure of Vivien Leigh, radiating with charm and energy, even as she was holding her husband’s hand. In charge of a whole family, and unfortunately accustomed to illness–her husband’s health being on the decline–Denise Tual’s first reaction was to call a doctor who gladly confirmed the diagnosis. Mr Hamlet was suffering a good case of indigestion, and therefore had to rest! Vivien’s little face hardly hid her irritation. How could that be and how silly. SHE was NEVER ill. And besides, as she showed from the little note pad she kept in her purse, she had already set up the list of all the things she intended to do while in Paris. It was a list, to Denise Tual’s amazement, that should have required at least two weeks of intense activity for any normal person. Vivien really had her mind on doing it in… four days. And if Larry had to stay in bed, well then, THEY would have to do without him, wouldn’t they? Ten years earlier in 1938, Vivien and Larry had not yet been married when they first headed toward the south on Charles Laughton’s advise. He had pinpointed for them the places of interest between Orléans and the Riviera. They had arrived in May, a perfect time to visit the south of France before the insufferable blaze of summer. 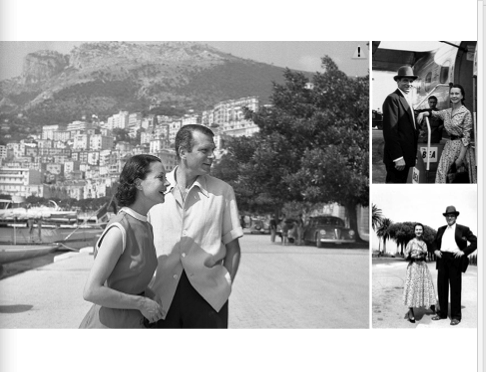 The places they had selected were as far as possible from the fashionable areas like Nice, Menton, Cannes or Monte- Carlo. They stayed at the Colombe d’Or in Saint-Paul-de-Vence, a sweet little village perched on a hill. 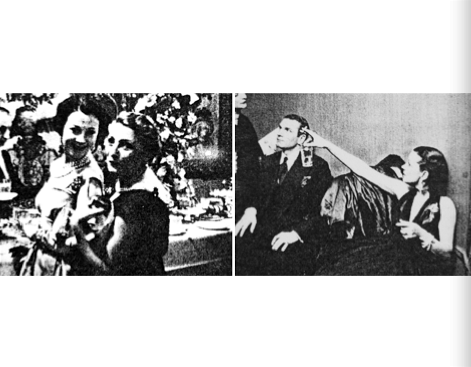 In 1920, Paul Roux and his mother had opened a café-bar where people came to dance during the week-ends. The place became so popular that Mr Roux and his wife Titine decided to open a little “auberge” with only three rooms. 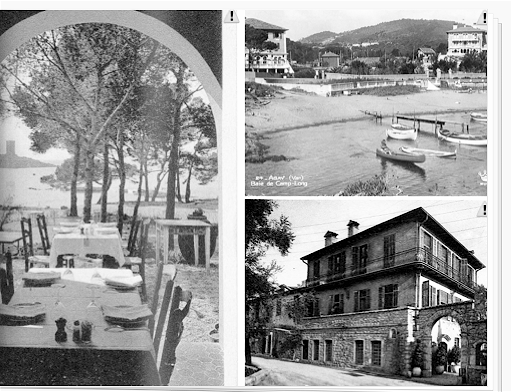 The place was so beautiful, and the owners so charming, that during the war, while the south of France was situated on a free area (uncontrolled by the German occupation), a lot of artists – with a lot of talent but little money – decided to emigrate to St Paul, turning the place into one of the most fashionable Hôtel of the world. Simone Signoret and Yves Montand would meet and marry there. People of all kinds would be welcomed like Stravinsky, Cocteau, Picasso, Bardot… Today, la Colombe d’Or offers 13 rooms and 12 apartments. And you can spend the night here for the average price of 300 or 430 euros. And so the madness started. At first Denise Tual, quite energetic herself, found the experience exhilarating. But, she soon realized that the fragile Vivien was hiding a steel constitution. “She never slept, ate, drank, walked and talked five languages fluently, alternating from one to the other without any accent. She was informed of everything, knew better than I did all the shows that were to be seen in Paris, was correcting me when I was mistaken, peering a green and adamant eye on me. But she had such sense of humour that I was under her spell one hour after our first meeting. And fortunately, around twelve o’clock, Hamlet was doing better, and at night he was following us. Organisation was necessary. Denise Tual took charge of the reservations in all the good restaurants. The simple tastes of 1938 were long forgotten. 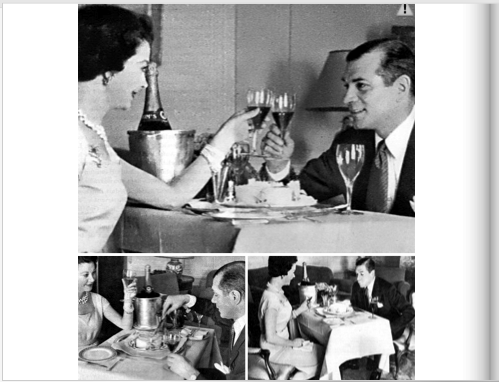 The Oliviers knew how to enjoy a lunch. 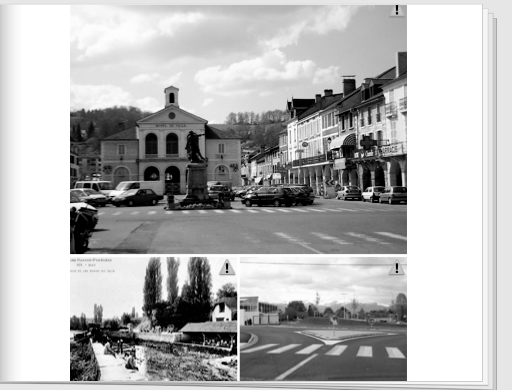 They started with the “Véfour”, a beautiful address in the area of Les Abattoirs. 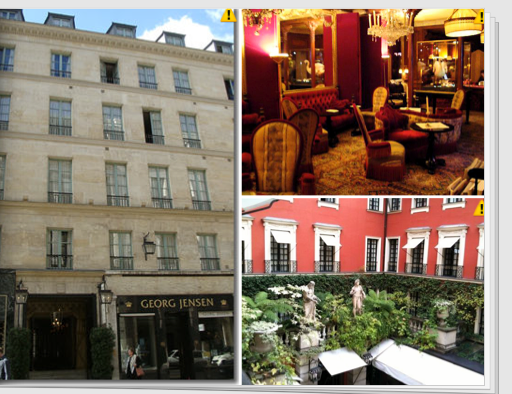 “Chez Joséphine”, a beautiful and cosy restaurant created by Joséphine Baker, became their favourite place. 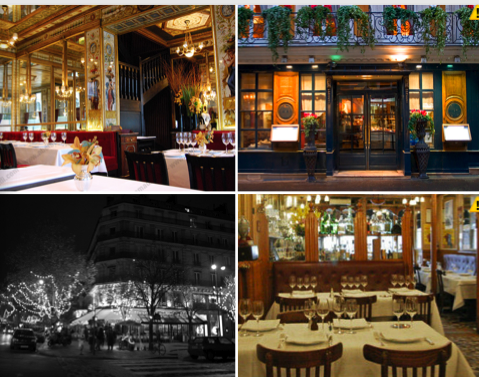 Later, they would be seen at the “Procope”, one of the oldest restaurants in Paris dating back from the 18th century. Realizing that she wouldn’t be able to cope all along with such a rhythm, Denise Tual decided to call for help. Marc Doelnitz, a young actor and member of the group she used to entertain in her country home, joined them gladly. Vivien instantly adopted the young man whom she found “divine” and who had her laughing to tears. The Rose Rouge was typical of those left bank cabarets where the youth of Paris and the high society mixed for some long evenings filled with jazz music and alcohol… The Oliviers were quite a sensation in the place, which was quite tiny. You could only move between the tables and the chairs packed near a two meter little stage. 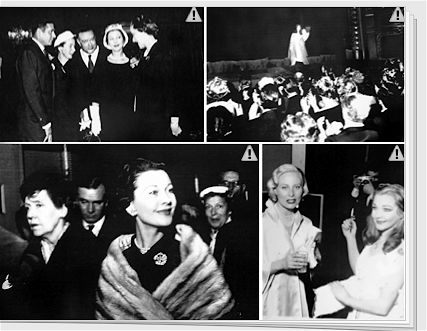 That night, the show was happening on and off that stage with photographers doing sudden appearances and Vivien pretending not to see them. In spite of the false identity given to make the reservation, everybody was looking at Scarlett O’Hara. Luckily, Heathcliff did not make it into the pictures. For the show had barely started before he was deeply snoring on the sofa; the most romantic hero of the time, won over by the excesses of the Parisian nights! “It was five o’clock in the morning, when we parted in the Jardins du Louvre. Vivien was showing no sign of fatigue. She called Marc at nine to ten, all dressed up and ready to go to Balmain. Four days and four nights followed in the same pattern. 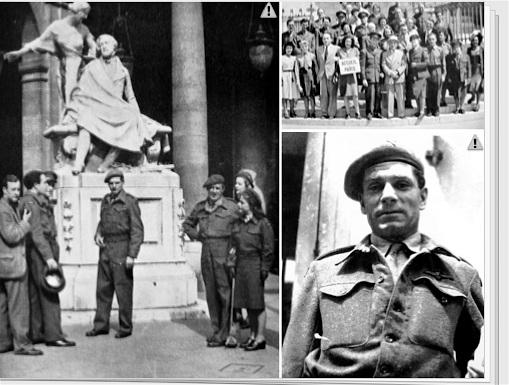 A very intimidated Larry can still be seen posing for the photographs along with other members of the company outside Le Théâtre Français in May 1945. During those two weeks, Parisians’ reactions to the Old Vic players were very different from the indignation aroused by the German company which commandeered the theatre in 1941. 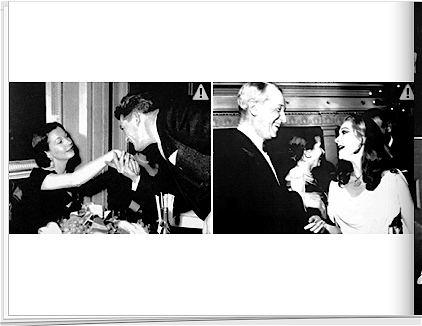 Through the years, the bond would get stronger and stronger, giving many opportunities to Vivien and Larry. In their private lives, of course, they would maintain this bond, with the ritual holidaying in the South, although, at times they pushed the geographical limits toward a more southern south, like Italy and Spain. Perfume? All her life, she would be faithful to “Joy,” the fragrance created in 1912 by Henri Alméras for Patou. Painting? She loved (and possessed) many valuable pictures by French impressionists. Fashion? She wouldn’t miss the Balmain and Dior défilés… In the latter, the whole list of guest was changed specially for her. However she complained once, that everybody seemed to speak with a Chicago accent. Literature? She often quoted Montaigne – besides Dickens – as one of her favourite authors. He was one whose work she read extensively during the forced period of rest at Notley in 1945, when taken ill during the filming of Caesar and Cleopatra. It is, however, very curious that so far no one has commented and analysed the influence of the French repertory in her career. To begin with the role that launched her virtually to the stars in 1935, directed by Sydney Carroll. “The Mask of Virtue,” a nice comedy adapted from “Jacques le Fataliste” by Diderot, where she played Henriette Duquesnoy, and a vision of total beauty in costumes d’époque Louis XV. One has to remember the aristocratic beauty of Solange Robillard, Scarlett’s grandmother, from French descent, Madeleine Goddard in Dark Journey, and Lady Hamilton’s sordid end in Calais in 1815. Antigone by Anouilh. Lulu by Feydeau. Paola, the dark angel of Giraudoux. Marguerite Gauthier, the big hearted courtisane of Alexandre Dumas. Tatiana, the Russian aristocrat by Jacques Deval. Or the Italian Marquesa Sanziani, delivered by Maurice Druon…One may regret not to add to this long list another part that seemed to have been created for her: the famous queen of the Eagle Has Two Heads by Jean Cocteau, immortalized on screen by Edwige Feuillère, and finaly played in London – after Vivien refused it – by Eileen Herlie. Or the beautiful Roxane, attempted twice by Vivien, in productions of “Cyrano de Bergerac” that were never to be. It is a list which wouldn’t be complete without a special mention of Blanche Dubois clinging to the aristocracy of her past at Belle-Rêve, as a French princess whose life should have been forever young, happy, and full of hope. On another level, Vivien always maintained that learning French had been a great asset to her art. After Suzanne’s birth, when she came back to RADA, she only took the French course with Mademoiselle Alice Gracet. She remembered happily fencing, dancing, and elocution classes. And her miserable appearance on two plays in French, among them Shaw’s Saint Joan. One morning, a visit was organized to the Theatre Sarah Bernhardt. It was a moment Vivien had been expecting for a long time. 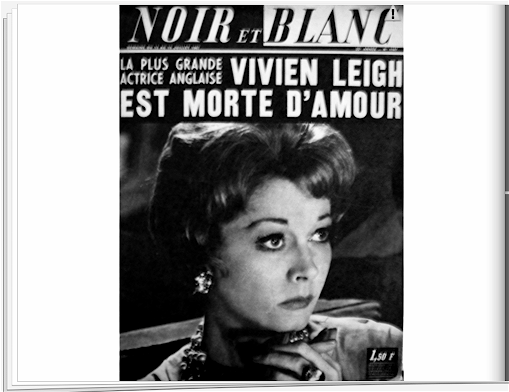 Vivien must have learned with some awe that the French “tragedienne” had been suffering all her life–like her own sister who actually died of it–from tuberculosis. At one point one of her legs had to be amputated. The theatre Sarah Bernhardt was still very old and full of dust, in the state Sarah had left it, when Dullin had taken it over. Edwige Feuillère was settled in it. She was playing The Lady of the Camellias. 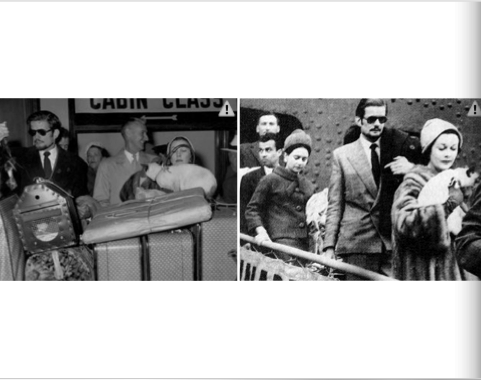 Even after their divorce, Vivien and Larry still continued to visit France. Vivien stopped in Cherbourg in 1959 when coming back from the American tour with “Duel of Angels”. Travelling with her £5000 painting by Renoir, she had trouble with the customs and had to explain that she always travelled with it because she always wanted to have something beautiful to look at. From there, she travelled with Jack Merivale to Paris in her new Rolls Royce where she had a fitting at Balmain for the Roman Spring of Mrs Stone…She toured France with Poo Jones and her new beau, visiting Bougival, where Dumas had set the country house of Marguerite Gauthier, then Chantilly where Diana and Alexander Duff Cooper had settled after leaving the French Embassy. In 1966, after Ship of Fools, where she played with one icon of the French cinema, Simone Signoret, she went to Cap Ferrat to spend some holidays with Bill More, Kenneth More’s ex-wife. In September she went back to Paris to receive the Etoile de Cristal for her part in Stanley Kramer’s movie. She was honoured with Oskar Werner, Brigitte Bardot, Yves Montand, Alain Resnais, Milos Forman…A party was organized at Chez Lasserre, a famous restaurant. 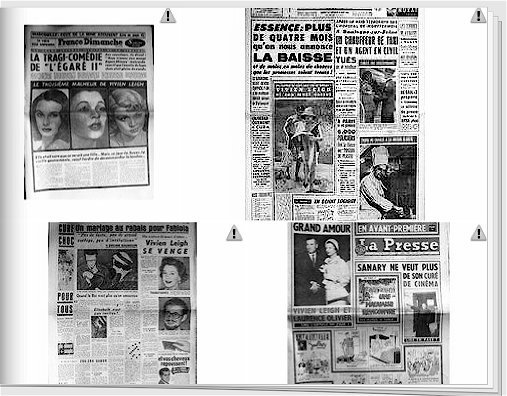 Ginette Spanier thought that she was alone, and that the photographers were only obsessed by Brigitte Bardot, so Mrs Spanier went to ask Bardot to go and speak to Vivien, to no result. In the years that followed their last visit, the French new wave had cast a veil on the former legends. Alain Resnais, a perfect gentleman, in total worship of all things made in England (to the point he considered working in a British library before getting into the movies and, later, to direct John Gielgud and Dirk Bogarde in “Providence”), keeps no memories of his meeting with Vivien on this occasion. He simply did not know who she was. 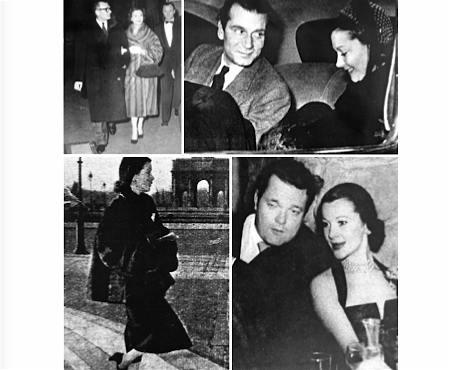 Through the years, the French press kept Vivien in its columns, but she was quoted and photographed as a fading heroine; a lonely figure drifting through a life that seemed to have ended when Larry left her. She was forever cast as a courageous Scarlett, fighting to her last forces, in order to retain the aura and legend of a time forever gone. 2) She was married to Laurence Olivier. 3) She was mad in the end, wasn’t she? 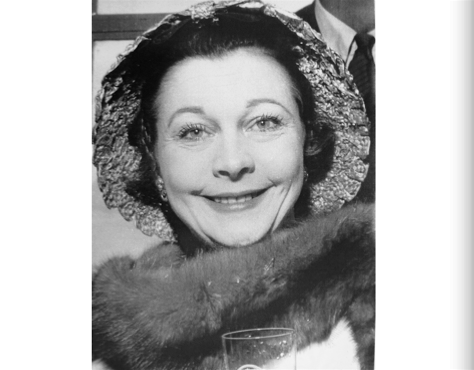 "The greatest english actress Vivien Leigh, died of love"
On the 14th of August 1967, at the Memorial Service held at St Martin’s in the Field, Laurence Olivier made his entrance with the great friend of their yesterdays, Ginette Spanier. 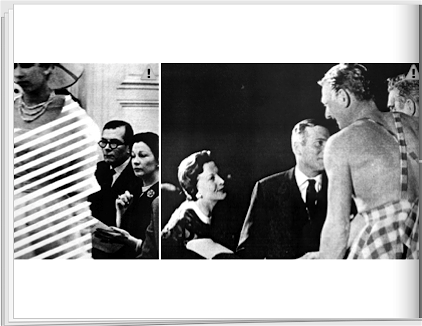 Holding the arm of her beloved, France paid a last tribute to Vivien. Wonderful!! The writing and the contents. And the photographs too. Thank you Tanguy!! Thank you Tanguy, I very much enjoyed this article. I especially liked the part in reference to Sarah Bernhardt, it was so touching that Vivien felt such a connection to her.